Location: Theux, province of Liège, Belgium. Ownership / Access: Owned by the town of Theux and is open to the public. Notes: Franchimont Castle (French: Château de Franchimont) is a medieval castle in the municipality of Theux, province of Liège, Belgium. It sits at the western end of a small hill overlooking the village of Franchimont. 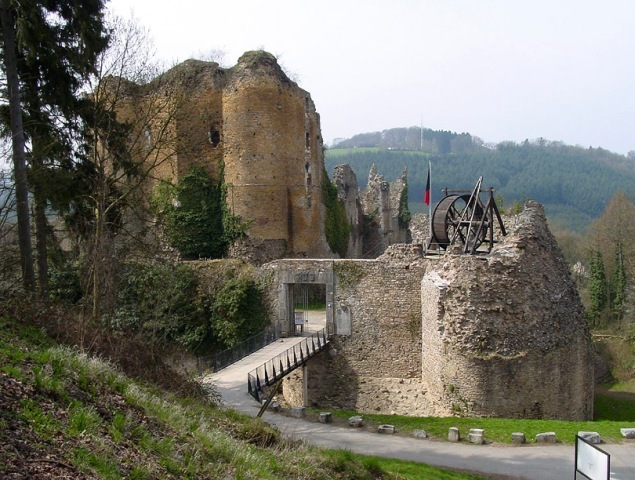 It is thought to have originally been built in the 11th century, as a stronghold of the Principality of Liège. The original building was extended several times during the Middle Ages, once after a fire in 1387. In 1487 the castle was besieged, and around the same period the La Marck family took ownership of it. In the early 16th century the outer wall was built, with casemates and an artillery tower added.Today the castle is owned by the town of Theux and is open to the public. The artillery tower at the north-east corner contains a small exhibition and the ticket office.